Mail Boxes Etc. UK & Ireland has achieved a major accolade in the MBE Worldwide Excellence Awards 2017, which is judged amongst 32 countries worldwide. 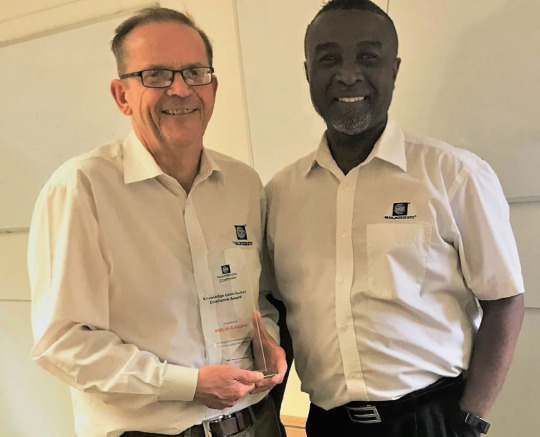 Chairman Simon Cowie and his team received the Knowledge Contributor Excellence Award from master licensee MBE Worldwide SpA, recognising their efforts in contributing to the post, parcel and print franchise business’s focus on customer service. Fiorelli particularly praised the UK team’s commitment and willingness to support the group’s new master licensee training process. Mail Boxes Etc. is the UK’s high street network of post, parcel and print centres. MBE stores offer personal and business users reliable express and worldwide delivery, design, print, mailbox rental and virtual office services. There are over 1,600 Mail Boxes Etc. locations worldwide, including more than 150 in the UK and Ireland. For further information about any Mail Boxes Etc. service, call 0800 623 123 or visit www.mbe.co.uk.